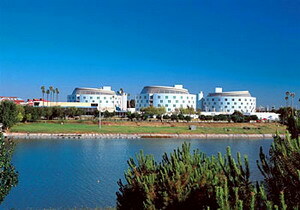 The contemporary Barceló Sevilla Renacimiento is located on the island of La Cartuja on the banks of the Guadalquivir river in Seville, Spain. The Isla Magica theme park, Seville's historic Barrio de Santa Cruz quarter, famous Gold Tower, cathedral, and the palms, orange trees and museums of Maria Luisa Park are all within 10 kilometres. 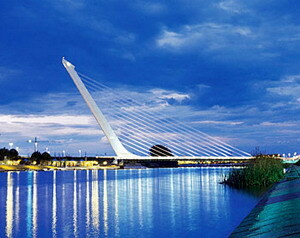 Sevilla San Pablo Airport (SVQ) is 11 kilometres from the hotel. The Barcelo Renacimiento is a modern property occupying three avant-garde asymmetrical towers with lift access and connecting walkways. Restaurante Jardin offers Andalucian and international dishes, with a buffet service and a la carte menus. Breakfast is served daily in Restaurante Colon, which also caters for private functions. 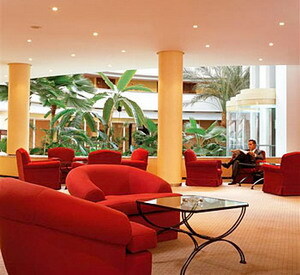 Guests can relax in red armchairs with drinks in the bar/lounge overlooking the outdoor pool and tropical garden. 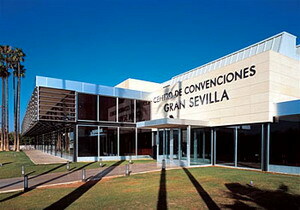 The onsite convention centre has 25 meeting rooms for 40 to 1,700 people. 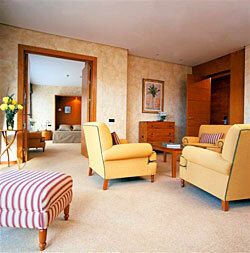 Wireless Internet access is available at the Barcelo Gran Hotel Renacimiento. 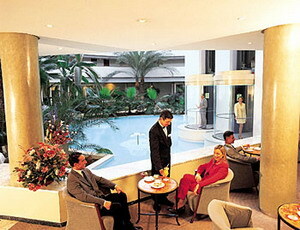 Private functions can be held in the tropical-garden atrium. Tall palms and tropical foliage fringe the hotel's seasonal outdoor pool. There is a sauna and massage service. The children's pool offers safe swimming for kids. Wood furniture and marble add a traditional touch to the contemporary style of the Barcelo Renacimiento's 295 air-conditioned guestrooms. 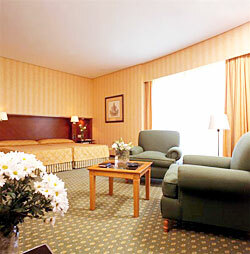 All rooms have minibars, direct-dial phones and wireless Internet access. Bathrooms include baths or bath/shower combinations and complimentary toiletries.